Ledbury Rainbows used part of their Community Chest grant awarded by Ledbury Rotary Club to give their young members an equine experience day at Noakes Farm Riding School. 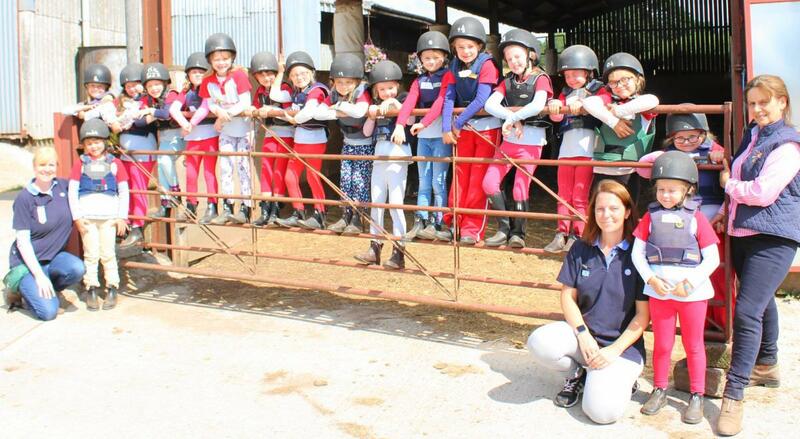 Group Leader Sarah Fletcher and the team helped The Rainbows get to know the horses and groom them, followed by a talk and snacks, before getting dressed in the safety hats and clothing, and setting off for a gentle walk over the fields and in the training ring. After lunch a moment of magic when the gorgeous “Unicorn” appeared thrilling everyone present! Ledbury Rotary Club is delighted to have provided a range of experiences that help the development of young people! Thanks to everyone who assisted on the day.